TORONTO, ON – With two new beers fresh on the market, Mill Street Brewery isn’t taking a much of a break before its next release. 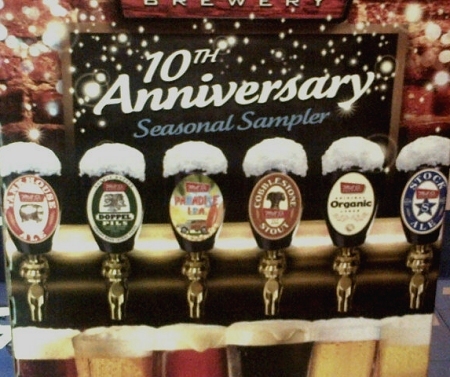 As leaked on Twitter late last week with the photo above, plans are set for the Mill Street 10th Anniversary Seasonal Sampler, a six-pack featuring several of the brewery’s year-round brands as well as a couple of special one-off beers. Joining flagship brands Tankhouse Ale, Organic Lager and Stock Ale in the package is recently launched Cobblestone Stout, and sampler pack exclusives Paradise IPA and Doppel Pils. This latest in the series of Mill Street mixed packs will be available soon at select LCBO locations.